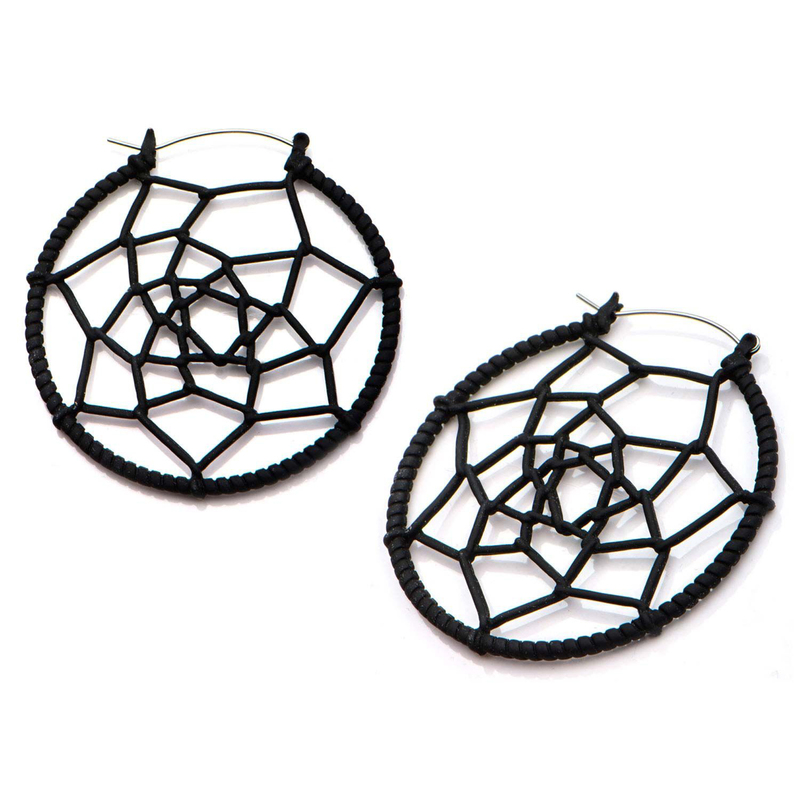 20g Black Matte Woven Web Plug Hoop. Plug Hoops were designed to fit comfortable in any flesh tunnel style of body jewelery worn in the earlobe. The post is made from 316L and can be worn as a normal ear piercing. Sold as a Pair.